Dreamtilt is an Internet Provider focusing mostly on fixed wireless-based internet access. The comapny also offers web hosting, web design, Voice over IP, and a variety of related services. Dreamtilt strives to be a good corporate citizen and is committed to contributing to the community. We are involved in many community activities around Gladstone and a member of the GAPDL and the GCCI. If you are interested in Dreamtilt becoming involved in your local event, organisation or sporting club, please contact us. 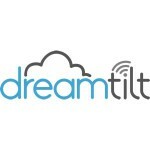 Dreamtilt Wireless provides wireless connections that can be used to transport voice, video and data. It’s a total broadband access solution designed for extending networks wirelessly to provide broadband services to virtually anybody, in anywhere — even in rural and island areas. Dreamtilt Wireless combines field-proven toughness with exceptional performance, security, ease-of-use and cost effectiveness. And with a broad array broadband plans available, it can be configured to meet your current and future needs (residential, business or industry).